Whose ready for the 4th of July? We sure are! Celebrate with our "Boston Pops" colorful design featuring New England's beautiful Summer blooms including sunflowers, gerberas, roses, hydrangea, agapanthus & hypericum berries. 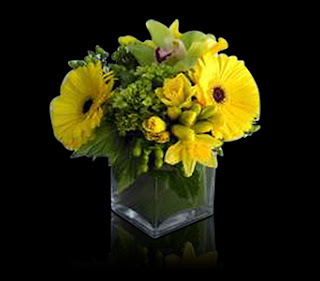 To browse all of our custom floral arrangements, click here. Hosting a BBQ or get together for friends & family this 4th of July? Add some color & cheer to the party with some fresh flowers from Stapleton Floral Design! Congratulations to Michelle & Rob! The Stapleton Floral Design team was so excited to create the bold & colorful floral arrangements for their wedding at The Seaport Hotel. 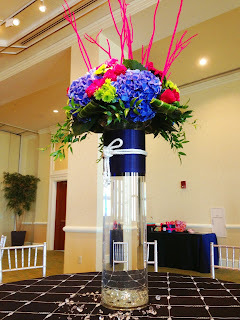 Bouquets & centerpieces in hues of raspberries, hot pink, chartreuse & blue filled with orchids, hydrangeas, hypericum berries, roses & kermit poms. What a beautiful weekend for such an amazing day. Thank you to them for having us be a part of their special event :). 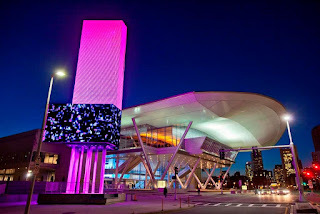 Boston Convention & Exhibition Center, our Featured Local Business Of The Week, is not only a trademark of Boston but an exquisitely designed building & venue for events of all kinds in the Greater Boston area. We are honored to be one of their preferred vendors & local business neighbor! 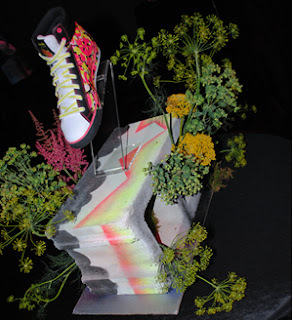 Have Stapleton Floral Design create custom floral arrangements for your next event! 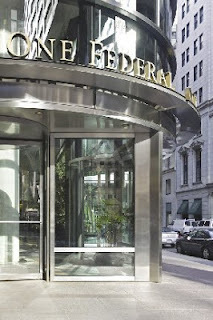 We are currently a preferred vendor of the Boston Convention & Exhibition Center & the World Trade Center, as well as a majority of venues in the Greater Boston area. Inquire today for more details. The Stapleton Floral Design Team had so much fun creating the unique floral arrangements for Ann & Gerald's wedding at Fairmont Battery Wharf! 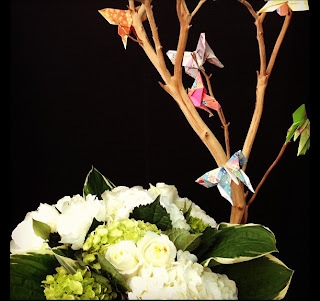 They asked us to incorporate oragami designs into their reception centerpieces. They looked absolutely exquisite draped from the manzanita branches above the gathering of hygrangea & dendrobium orchids. The bridal bouquets filled with hues of white & cream lily of the valley, mini calla lilies, peonies, roses & freesia added a feminine touch to overall design. To see more photos from the shoot, click here. Smith & Wollensky Boston Atlantic Wharf is the steakhouses newest location in Boston, right on the waterfront giving diners a breathtaking view. 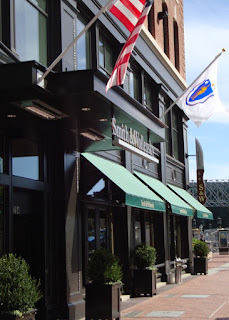 Including a full-service oyster bar, expansive outdoor patio, bar & lounge, the Atlantic Wharf location has quite the unique harbor experience. Now open for both lunch and dinner! The Stapleton Floral Design Team was honored to get a phone call from the iconic and gorgeous Smith & Wollensky Boston Steakhouse Castle in Back Bay to design custom floral arrangements for their photo shoot with our friends at Person + Killian Photography, Be Our Guest, Inc. and Advanced Lighting & Production Services - ALPS. What a breathtaking venue for any occasion! To request a tour or reserve private event space with Smith & Wollensky Boston Steakhouse, contact one of their private managers at 617-423-1112. 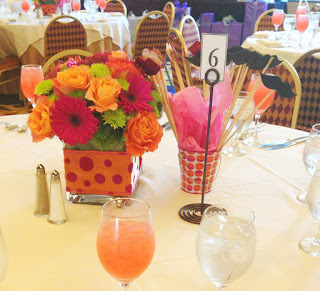 The Stapleton Floral Design design team had so much fun creating these fun and colorful arrangements for Sophia and Panayioti's Bridal Shower which took place at our Featured Local Business, Hotel Marlowe. Such an amazing space and a lovely couple to work with. We can't wait to design their Wedding flowers in September! For more information on our Wedding/Event services, please click here. Flaunting our black & yellow custom floral arrangement, Sunny Delight, today in honor of tonight's Boston Bruins Game 1 for the Stanley Cup. 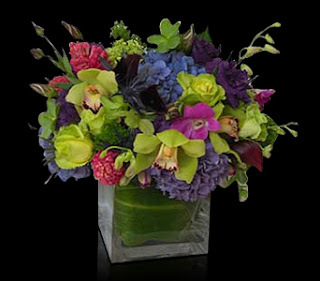 To view more of our arrangements for Summer, click here. Hotel Marlowe, our Featured Local Business Of The Week, is a pet friendly hotel in downtown Boston named by TripAdvisor as one of the top 10 hotels in America to stay with pets. With vibrant accommodations, warm hospitality, luxury services & an ideal location, this boutique hotel is exceptional & convenient. A beautiful venue for weddings, private events & special gatherings. 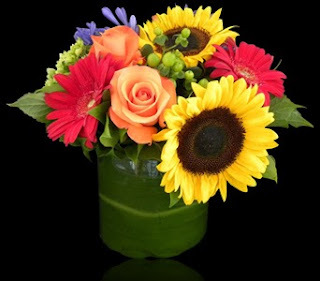 Some of Stapleton Floral Design's bright and fun custom floral arrangements perfect for Summertime! 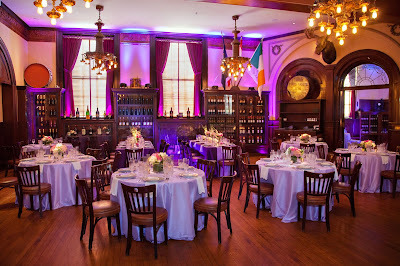 Downtown Harvard Club, our Featured Local Business Of The Week, is a beautiful event location in Boston's Financial District, great for business lunches, dinners, private events & weddings!